In the heart of rural England in the valley of the Stour, in countryside immortalised in the paintings of Constable and Gainsborough, lies the picturesque medieval town of Sudbury. Home to wealthy merchants and clothiers since the 15th century and already a prominent centre for silk weaving, it was here in 1903 that craftsman Reginald Warner, inspired by the beauty of floral and emblematic designs in rich and harmonious colouring, laid the foundations for the Gainsborough Silk Weaving Company. 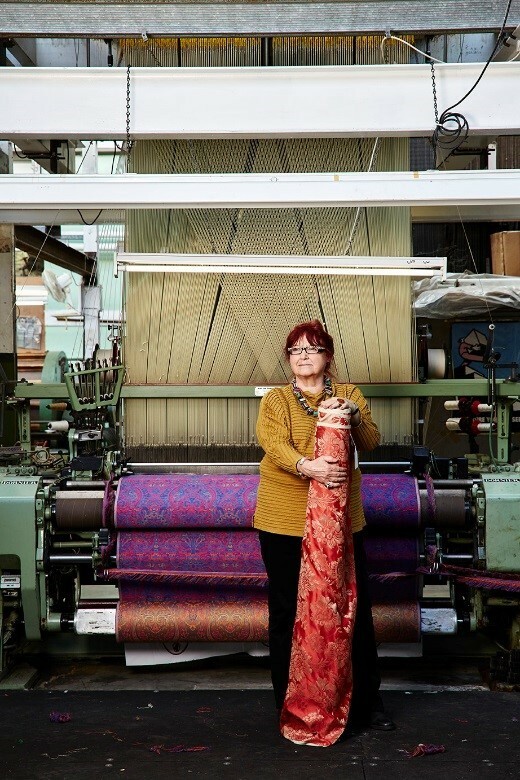 More than a century on, Gainsborough has flourished from its humble beginnings and is now recognised internationally for its exquisite fabrics, fine damasks, brocades and brocatelles. 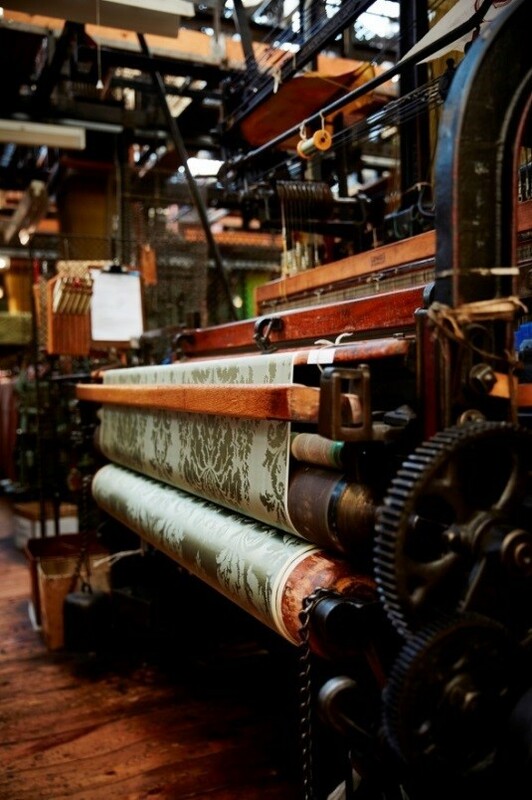 Awarded the Royal Warrant in 1980, Gainsborough has stayed true to Warner’s vision and original philosophy to create exceptional fabrics for the contemporary market. “We have done over 11,000 commissioned weaves since the company began. Many have been copied but thousands are one-offs,” says Neil Thomas, the technical director. The dedicated design department splits its time between creating new commissions for clients and re-drawing restoration fabrics. A premium commercial market leader in commissions for royal palaces, British embassies, national museums and galleries as well as famous liners, historic houses and luxury hotels, Gainsborough also collaborates with designers such as Sir Paul Smith, Nina Campbell, Tom Dixon, Alidad and Giles Deacon, as well as couture fashion houses like YSL and Dior for their catwalk shows. via Como, Italy, where it is thrown and the thread twisted. 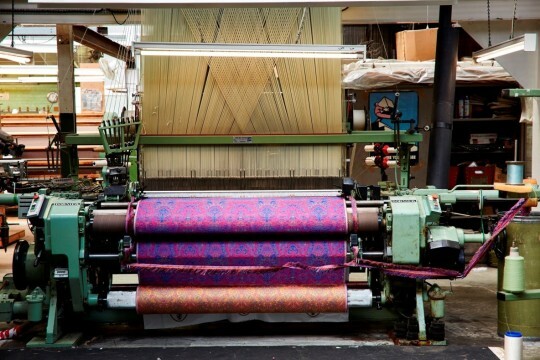 Gainsborough only uses filament thread made from long connected silk fibres which can be several thousand yards long. 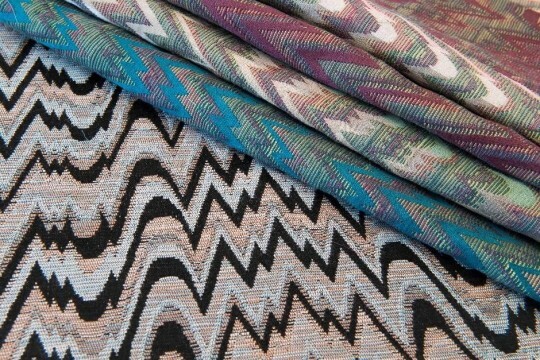 “They are finer, very strong and give much more sheen to the fabric, which people want,” says Neil. 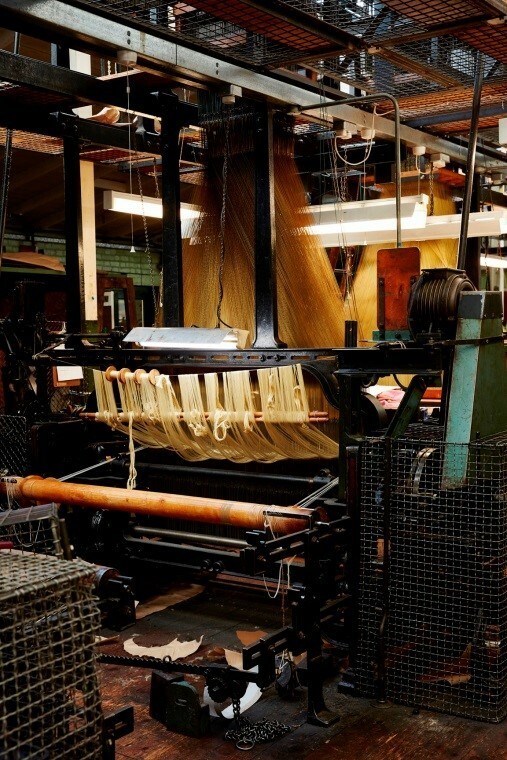 These off-white threads are de-gummed or washed in the dye house before being rinsed, dyed, dried and, once perfectly colour matched, sent to the mill to be wound. it’s of the highest quality and finish. 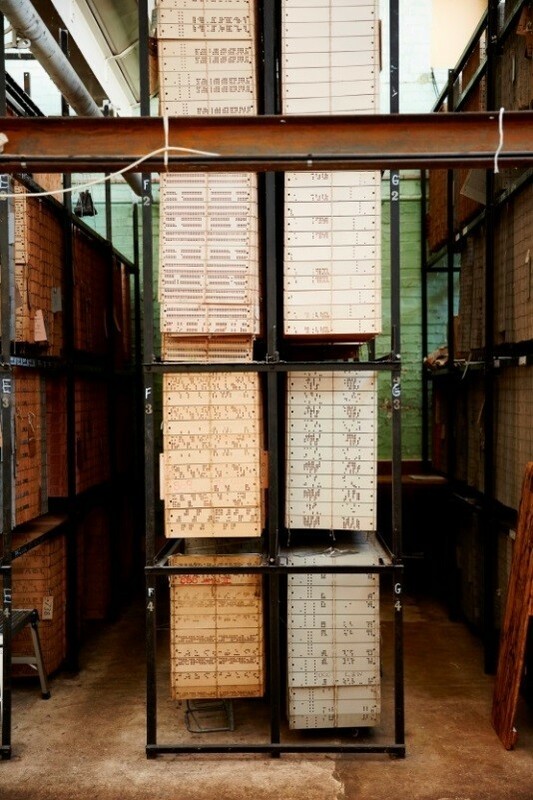 founded has been recorded in handwritten ledgers. 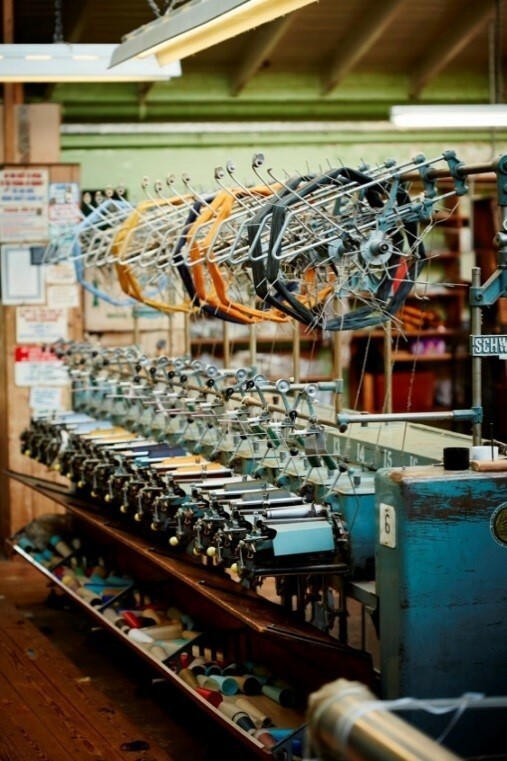 The Mill’s Archive has a record of every fabric ever made – from the yarn, dye recipe, design and sample of the finished item – enabling future fabrics to be created. The Archive holds over 7,000 samples including the only remaining sample from the Titanic, woven a year before the fated launch in 1911, when Gainsborough was asked to make all the fabrics for the First Class Dining Hall. Royal Suite, used by Catherine Middleton on the eve of her wedding to HRH Prince William in 2011. In March 2016, Gainsborough collaborated with Fromental, producers of exceptional wallpapers, to create a collection of beautiful new fabrics. Combining the craftsmanship of Gainsborough with the cutting-edge, contemporary design skills of Fromental, the collection celebrates the fabrics and patterns of this historic Mill with new colours and designs, inspired by its archive, but given a contemporary twist. For this collection, Fromental’s Design Director Lizzie Deshayes worked with award-winning designer Ottilie Stevenson, and Gainsborough’s in-house team of designers to create seven different designs, each in a range of refreshing vibrant colourways chosen with 2016/17 very much in mind. One of the cornerstone fabrics is a moiré, in which a design is ‘burnt’ onto the surface. Gainsborough is one of the very few mills which has succeeded in replicating the appearance of moiré, allowing them to introduce a second colour into the fabric, which isn’t possible through the traditional moiré process. For September 2016, Karen Beauchamp, ex-Creative Director at Cole & Son, has created a new collection referencing and sensitively editing the Gainsborough Archive with a fresh vision. Paisleys, checks, florals, chinoiserie and stripes in bold colourways will bring an exciting and very modern new vocabulary to today’s discerning market whilst playing tribute to Gainsborough’s inspirational heritage.